After we have discussed the concepts during class and you have reviewed the PowerPoints for each of the areas that are located below, you will use my Moodle site to take worksheets and tests. First we will learn proper video camera techniques to create professional looking productions. 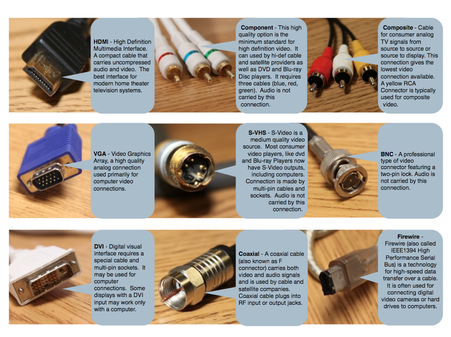 We will also learn the history of video production, equipment characteristics, and common file types. Finally, we will learn the proper procedures for producing quality videos. All of this information is necessary to learn to create video productions that are professional looking and sounding. The PowerPoint I used during class lectures about Video Camera Techniques is located in the viewer to the left. Use it as a resource for the projects and worksheets, and to help study for the tests! The PowerPoint I used during class lectures about the Video Production is located in the viewer to the right. Use it as a resource for the worksheets, and to help study for the tests! The PowerPoint I used during class lectures about the Video Procedures is located in the viewer to the left. Use it as a resource for the worksheets, and to help study for the tests!